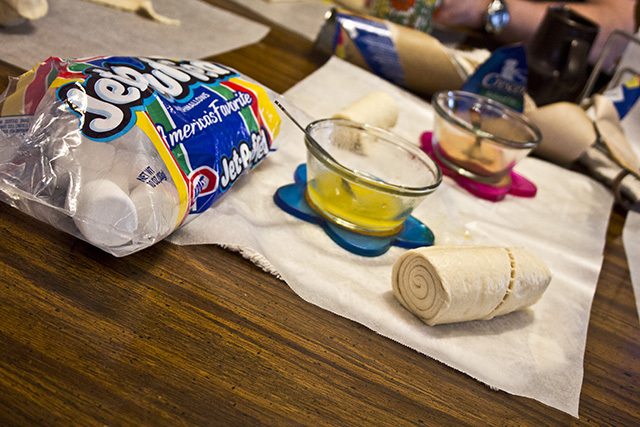 Marshmallows, cinnamon and sugar, crescent rolls, melted butter, and a baking sheet. 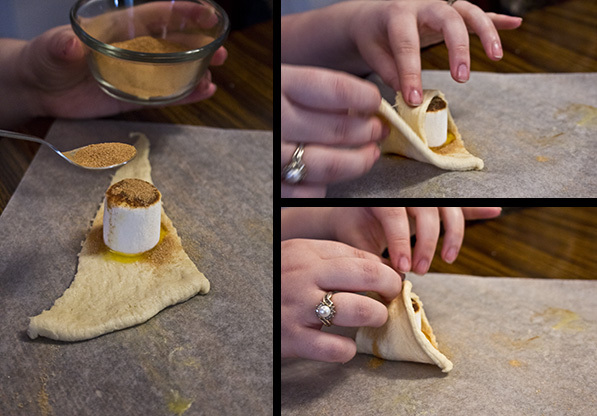 First you unroll the crescent rolls and place one marshmallow in the center of each roll. The marshmallow represents Jesus, as He was placed in the tomb. 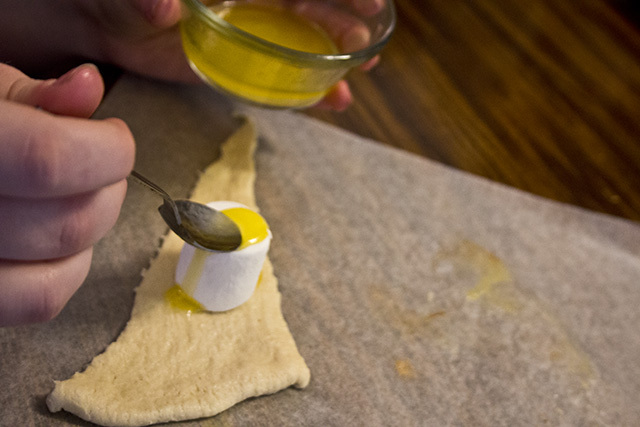 Next lightly coat the marshmallow with the melted butter. This represents the oils placed on His body for burial. 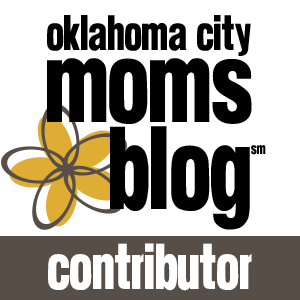 The cinnamon and sugar represent the ceremonial spices. Lightly coat the marshmallow with these. 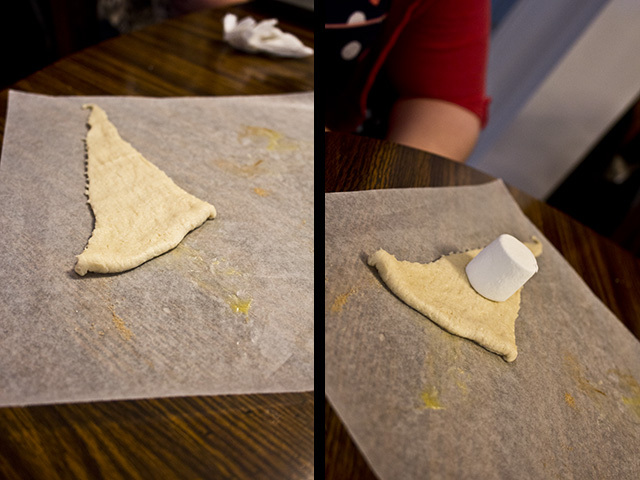 Then start to pull the dough up and around the marshmallow to seal it inside. Make sure the marshmallow is completely cover and no holes are visible. Place your rolls in the oven according to the directions on the package. 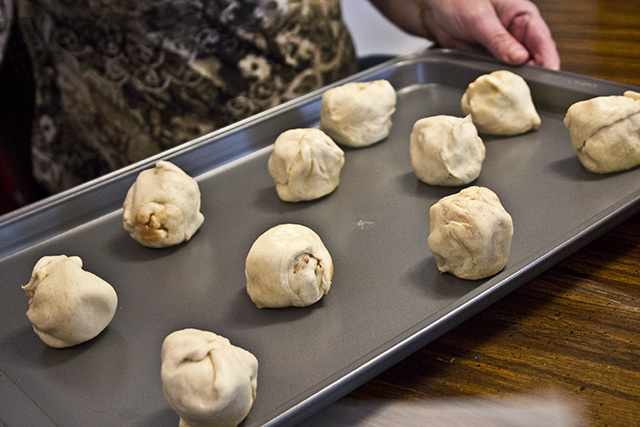 When you remove the rolls from the oven you may instantly notice that they are hollow inside. When you cut into them, the marshmallow is gone. This is a unique and memorable way to represent Jesus’s return. 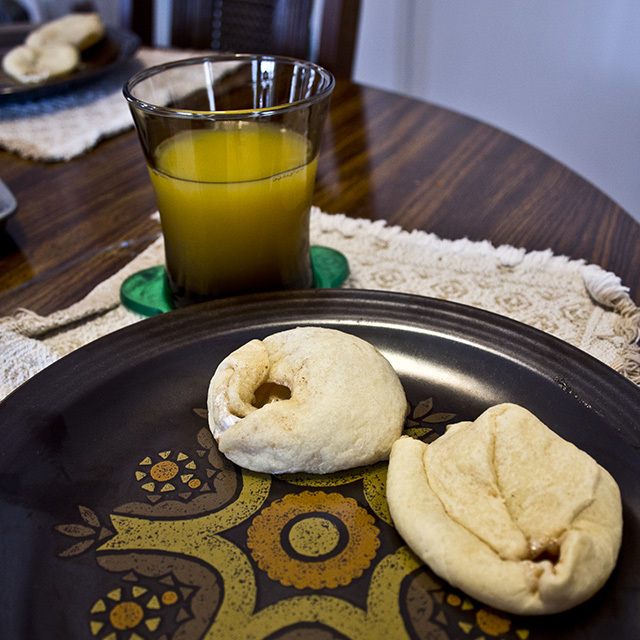 When I was really little my mom would tape the oven shut to prove to us that she did not open the oven and remove the marshmallow, just like nobody opened the tomb for Jesus. Happy Easter from Byron & I!